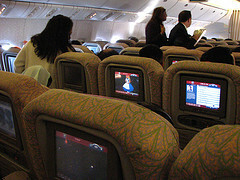 There are many airlines operating direct and indirect flights from Dubai to Mumbai (formerly known aas Bombay, India). To find the cheapest flight available make use of the provided comparison tool on the left and the list of airlines below which are linked to their online booking systems. Airlines flying directly to Mumbai include Air India Express, Cathay Pacific, Emirates, IndiGo, Jet Airways and SpiceJet. 1-stop flights are available from Qatar Airways, Ethiopian Airlines, Jazeera Airways and Yemenia. IndiGo launches a second daily service from Dubai to Mumbai. Jet Airways introduces direct flights from Mumbai to Sharjah, United Arab Emirates. Kingfisher Airlines introduces direct flights from Dubai to Mumbai (and Dubai to Delhi on the same date). Flight IT44 is scheduled to leave Dubai at 23h15 and arrive in Mumbai at 03h45. The initial cost for a one-way ticket is AED525. Jet Airways adds a second daily flight from Dubai to Mumbai (Bombay, India). Jet Airways commences daily flights from Dubai to Mumbai and Dubai to Delhi. "All of us at Jet Airways are extremely happy to have connected an important destination such as Dubai with Delhi and Mumbai. Dubai is not only one of the most exciting cities in the world but also has been traditionally a very popular business, employment and leisure destination. The demand for a premiere service on the comparative India-Dubai sector remains high, and we are confident that with our superior in-flight product, world class service and unbeatable pan - Indian connectivity will prove extremely popular with the traveling public on this sector." said the Chairman of Jet Airways, Mr. Naresh Goyal. Air India commences a second daily flight from Dubai to Mumbai. The distance between Dubai and Mumbai is some 1,925km. It is 1.5 hours later in Mumbai (India) than in Dubai (United Arab Emirates). We suggest setting your watch to Mumbai's time as soon as you board your flight since the earlier you begin acclimatizing to the new time zone the easier you will find it to adjust. Glenn got to Dubai Airport early for his flight to Mumbai, and made good use of the free wireless internet.